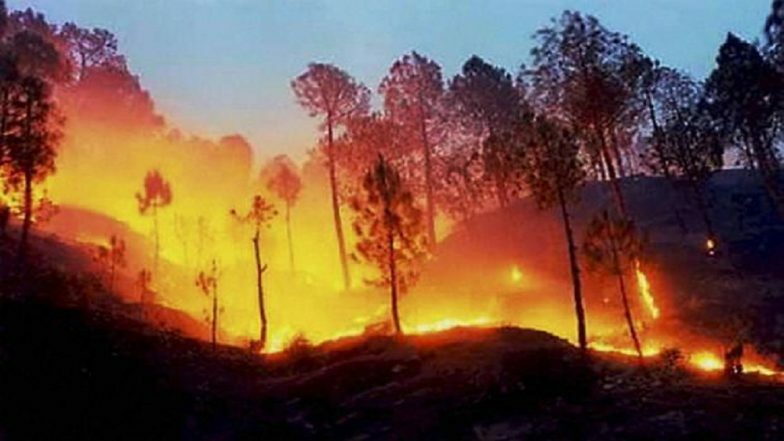 Beijing, April 1: At least 24 firefighters were killed while trying to douse a forest blaze in remote mountains in southwest China, the state media reported on Monday. The firefighters were sent to put the fire which broke out on Saturday in Liangshan Yi autonomous prefecture, Southwest China's Sichuan province, China Daily quoted the PLA Daily, the official organ of the Chinese military as saying. 60 Killed 700 Rescued as Deadly Forest Fires Rage in Greece. About 30 people have been unaccounted for since Sunday afternoon after a sudden change in wind direction caused an outburst of the blaze, according to authorities in Sichuan's Liangshan Yi Autonomous Prefecture. Local authorities have dispatched 689 people to quench the blaze which broke out at about 6 pm at an altitude of about 3,800 meters. A team sent by the Ministry of Emergency Management has arrived in Muli County in Liangshan to coordinate the rescue efforts. New Zealand Forest Fires Set to Get Worse, Thousands Flee Their Homes.